The MMO is advising all marine users that the release of live or fresh slipper limpets (Crepidula fornicata) into the wild is an offence. The molluscs are already established in South England and South Wales although they are not currently prevalent in the North of England. The release of slipper limpets to the sea is an offence and must be avoided in order to protect shellfish beds that are currently free of this species. This includes the use of live or fresh slipper limpets as an angling bait, or disposal at sea, which may allow the escape of eggs and larvae into the marine environment. 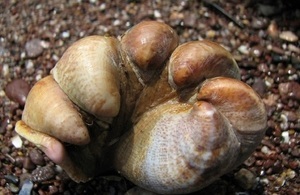 Sea users who find slipper limpets should report to the Marine Biological Association. Marine users who are aware of any use or disposal of slipper limpets should report the information to the MMO.